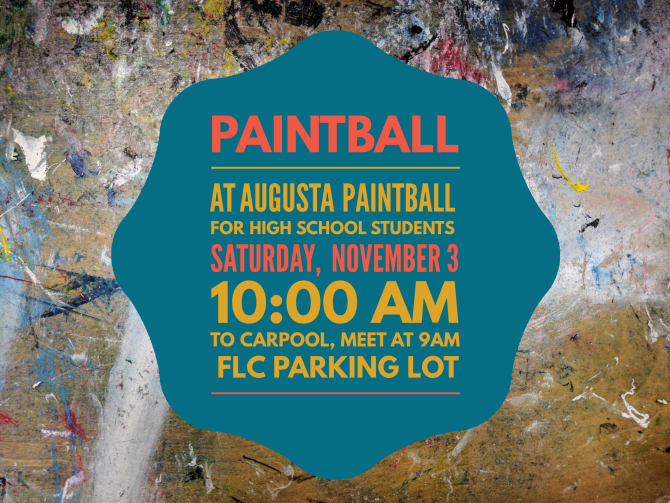 JOin us on Saturday, November 3rd for Some Paintball action! All High School Students Invited! Location listed below. To carpool, meet at 9:00 am in the FLC parking lot. Optional: Lunch after paintball, bring extra money. To RSVP, contact Derrick Lamar at 706.755.9497 by Thursday, November 1.